Today is one of my best friend's wedding. 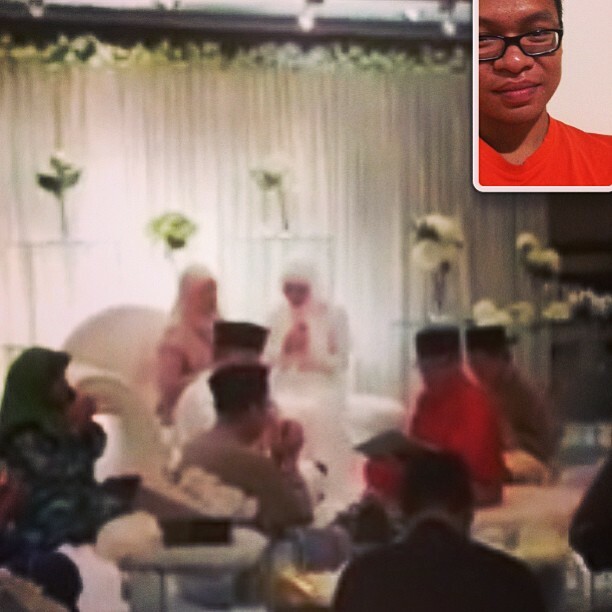 And since I'm not at home, I couldn't be there physically. Aujourd'hui c'est le marriage de l'une de ma meilleures amies. Mais, comme je suis loin, je ne peux pas être la physiquement. I am happy that I have good friends to rely on. Thanks to them, I get the best seat to watch the ceremony. Je suis chanceux d'avoir les bons amis. Grace à eux, j'ai la meilleure endroit pour regarder le ceremonie. Technology should make us closer, not divide us. K, and kwashere.com is a under the ownership of some guy and all stuff shared are shareware. Simple theme. Theme images by Roofoo. Powered by Blogger.